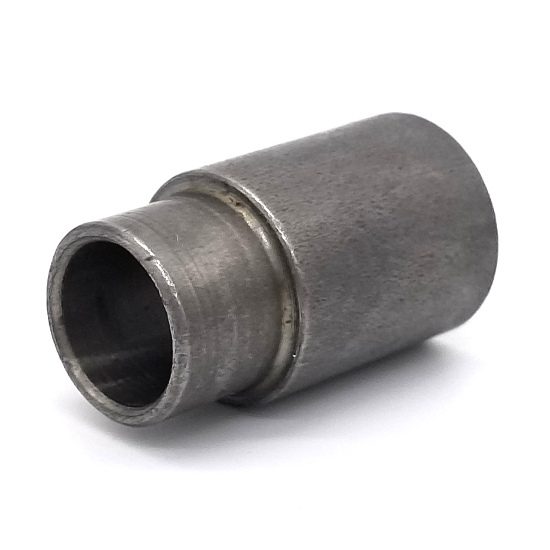 This bore adapter is designed to work with 17mm single-row heavy duty bearings, known as ''6203'' type, and will reduce your inside diameter to 3/8''. It is made of Steel. When installed, the shoulder of the bore adapter will protrude 0.702'' from the bearing to assist in proper alignment in your system. We recommend selecting your bore adapter on the page with the idler pulley you intend to purchase. Choose from the drop-down menu and we have calculated how far the bore adapter you select will stick out from the outside edge of your pulley - so you know if you've made the best choice. 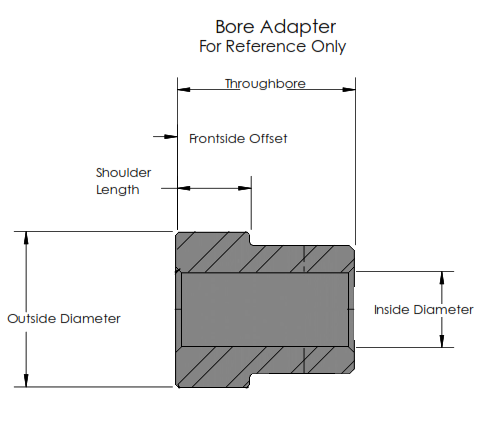 We are happy to install bore adapters at no additional charge. Fits with Bearing: The size of the bearing the bore adapter is designed to fit into. Phoenix bore adapters are available for 5/8" and 17mm bearings. Shoulder Length: The size of the shoulder on the bore adapter. When assembled into a bearing, this is the distance from the edge of the bearing to the edge of the bore adapter. Some bore adapters do not have a shoulder length. These are known as "sleeves" because they match the width of the bearing.